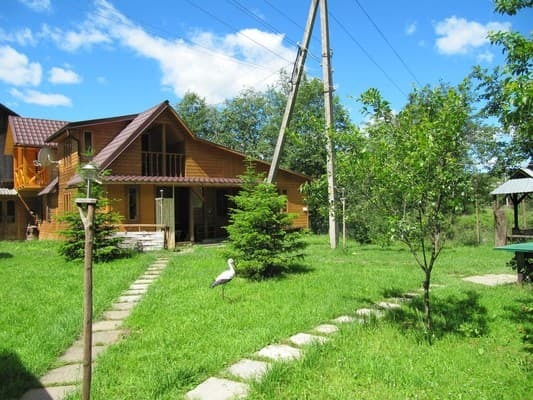 Private house "Under the Rock" is located 300 m from the center of Putila village near the forest near the mountain stream. For living guests are offered a two-storey, wooden, detached cottage, designed for 12 people. 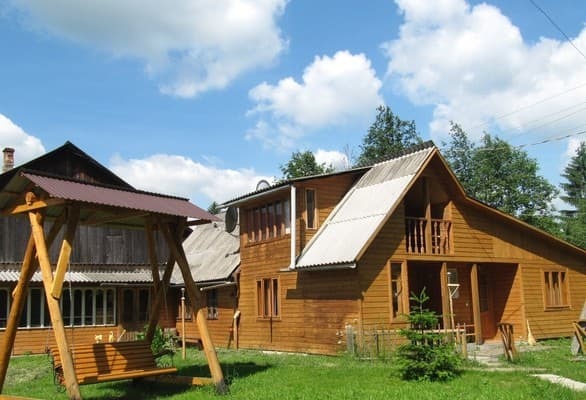 The house is equipped with furniture from natural wood, on the ground floor - 2 double and 2 triple rooms, a TV, and a sauna and a bathroom (shower, toilet, washbasin). On the second floor there is a double room with a balcony (2 single beds, a clothes hanger). 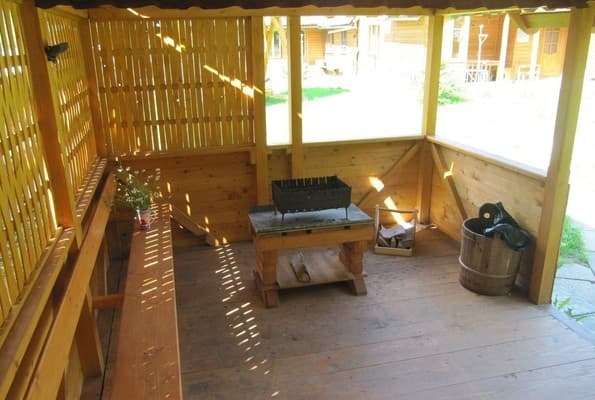 On the territory of the estate there is a terrace, a kitchen for cooking, next to it there is a gazebo and a brazier. Guests enjoy free use of an iron, hairdryer, barbecue facilities, and parking. If desired, residents are given the opportunity to order a two-time meal. 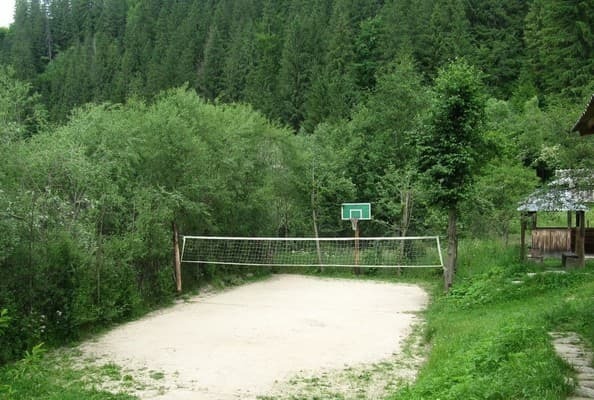 There are such kinds of entertainment as table tennis, badminton, horseback riding, hiking, picking up mushrooms and berries, sledging in winter. The distance to the Nimčič GC is -30 km, Bukovel - 95 km. 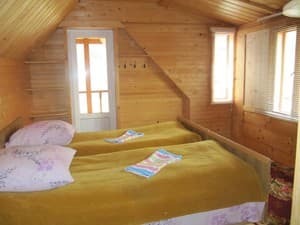 Description of the room: One room, equipped with two single beds or one double bed. Some rooms have a TV. 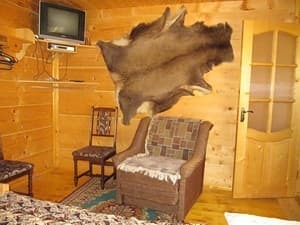 Description of the room: On the first floor - 2 double and 2 triple rooms, sauna. On the second floor there is a double room with a balcony. Children under 5 years without a separate bed - free of charge. The house has a fully equipped kitchen for self cooking. 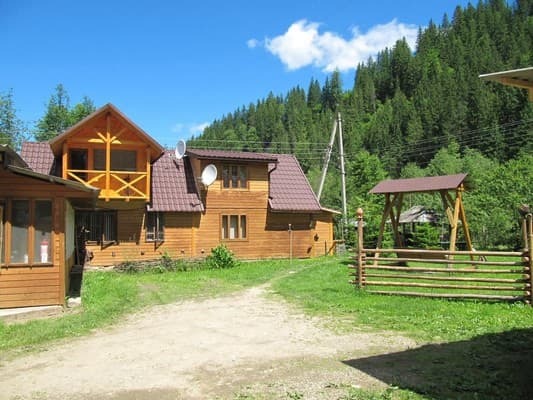 Private house is located near the center of the village, near the forest near the mountain river Putila. By train, by bus to the city of Chernivtsi, then by bus to the center of town. Putila or by taxi.